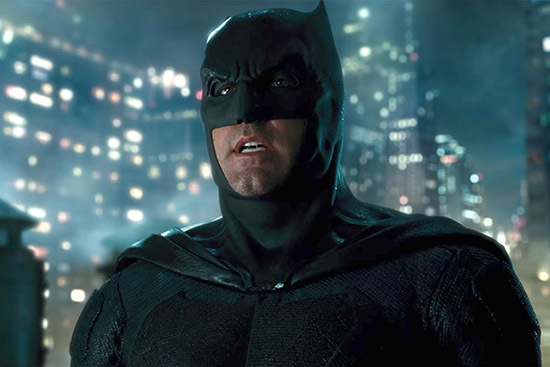 “Holy rebooted movie series Batman,” Ben Affleck finally confirms he’s stepping down from playing the Dark Knight for Warner Bros.’ current generation of DC movies. Batfleck had a good run, managing to don the cape and cowl for three DCEU movies. First joining the dark and brooding franchise for Zack Snyder’s Batman v Superman: Dawn of Justice, Affleck popped up for a cameo in David Ayer’s Suicide Squad and then led the team for the maligned Justice League. The writing was on the wall whether Affleck was returning for Matt Reeves’ tentatively titled The Batman, but now the search for a new Bruce Wayne is on. Deadline exclusively reveals the 46-year-old is handing over the keys to the Batmobile. The Batman is set to fly into cinemas on Jun 25, 2021, meaning there’s still a bit of a wait before we’ll get to see the violent vigilante again. In response to the news, Affleck posted on Twitter to wish Reeves all the best. Writing, “Excited for The Batman,” at least there’s no hard feelings between the star and the studio. To be honest, Affleck’s ongoing role has been up in the air for a while. After the departure of big DC Extended Universe talent like Snyder and Henry Cavill, it’s been up to the likes of Wonder Woman and Aquaman to hold up the franchise’s crumbling foundations. As it stands, it looks increasingly likely that movies like James Wan’s Aquaman and the upcoming Wonder Woman 1984 will be standalones instead of Warner Bros.’ plans for a shared universe. Movies like Todd Phillips’ Joker, Cathy Yan’s Birds of Prey, and the planned Nightwing were already cutting the DCEU’s apron strings. The big question is, who should start practicing their best Batman growl? While the list of potential actors is almost limitless, let’s remember back to last year when Jake Gyllenhaal was tipped to play the Caped Crusader. Gyllenhaal is hot property right now thanks to the likes of Velvet Buzzsaw and his upcoming role as Mysterio in the Marvel Cinematic Universe. Gyllenhaal wouldn’t be the first actor to swap the MCU for the DCEU, so let’s wait and see what happens. If not, everyone from Mad Men‘s Jon Hamm to Game of Thrones‘ Kit Harington have shown an interest. Either way, we finally ‘broke’ the Batfleck and will have to find someone else who looks just as good in black.